Sliver Glitter. Hand painted stiletto full cover nails. You will receive 20 nails. 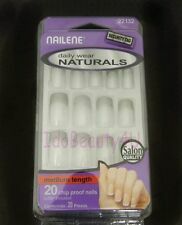 I only use high quality products, your set of nails will arrive nicely boxed. Also you will receive an application kit. These nails are full cover false toenailsFOR Adult. Hand painted created made false nails on a spine = 24 individual nails silver white glitter. The nails you will receive are the ones pictured, they will not be identical as they are hand made and unique. Ballerina - coffin shape size guide. Ballerina False Nails. Bling Art Ballerina Coffin Nails: This nail shape is popular amongst celebrities and nail art enthusiasts alike. The nails are finished with a squared off tip, this makes them look similar to a ballerina’ s shoes or the shape of a coffin. It doesn’t have to be your birthday to be ‘Poppin’ Bottles’! The fierce glossy black finish on thesestiletto nails give a mani to remember. Laced with gorgeous glitter on the sides for instant glamour vibes–so take to the town and live your best life! Hazards and Cautions Do not apply to weak, damaged or infected nails. Do not forcible remove. Ingredients Pre-glued adhesive: Acrylic Ester/Vinyl Acetate Copolymer, Aqua (Water, Eau). Prep Pad: Isopropyl Alcohol, Aqua (Water, Eau). .
100 Striped & Checked Acrylic Pre-Designed Nail Tips 18 Designs to Choose From! The Elegant Touch Colour Nails in 'Holographic Silver ' have been designed with a sleek stiletto shape and iridescent, high-gloss colour for maximum impact. Can be filed and re-shaped as desired. We start by adding a base colour, this is then sprayed with a glossy gel coat. We finish by adding a protective UV layer making them scratch resistant. Oval False Nails. Squoval False Nails. Almond False Nails.